Two years is a long time to wait for anything and this New Years Day 2014 fans of Sherlock can finally find out just how the man himself faked his own death in second series finale The Reichenbach Fall. With only repeats of the show and speculation from series Producer Steven Moffatt to go on this is truly how to spread a cliff hanger out for what any other show would consider way too long. 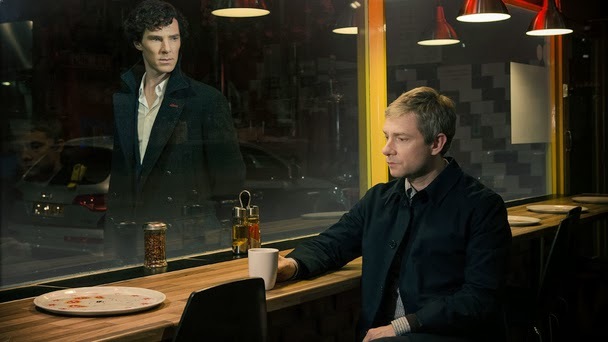 The first official image released by the BBC earlier this month showed a dejected looking Watson sitting with coffee and little solace whilst a ghostly looking Sherlock looked through the window at him. This was enough to set predictions from fans streaming into the ridiculous to hit the internet and once again that tension is setting in big time. Just what do we know about the third season so far though? The big news already out there is the introduction of a female partner for John, in the form of a wife. Just how will this affect the often tetchy bur never less than dedicated partnership between Sherlock and John? Reports indicate little but we’re sure it’ll be handled well. We know that Moffatt often lies but we’re pretty sure that Mark Gatiss, writer of opening story The Empty Hearse, isn’t too far from the truth. London and Sherlock Holmes go together like deerstalkers and pipes and his appearance in the recently released extended trailer show that the show still has its undeniable class. As if we doubted it would! Amanda Abbington arrives as John’s wife and Lars Mikkelsen is introduced as a villain described by Moffatt as “terrifying” in interviews. 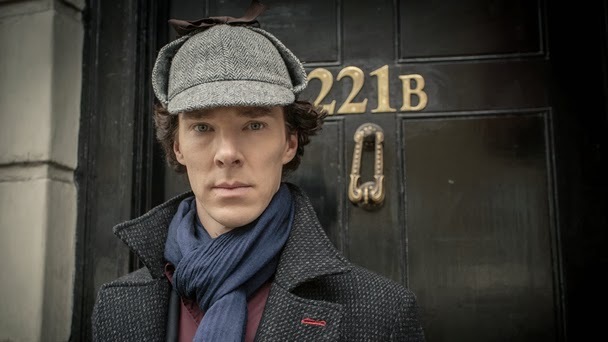 Sherlock is in for some changes and some emotional exchanges as the latter and a re-acquaintance with the city keeps this ever changing series on its toes.